As one of a slew of imported Action MMORPGs, MU Legend is known as MU 2 Online. The game is a hack-and-slack MMORPG developed and published by Webzen. MU Legend was announced in 2004, but development didn't begin until 2009. Continues to level up as you fight mobs, gaining experience and unlocking stronger abilities. Pick up loot to craft gear, and join arms with friends to take on the endless waves in the dark dungeons. MU Legend features a guild system, a quest system, skill trees, and different game modes/dungeon objectives. 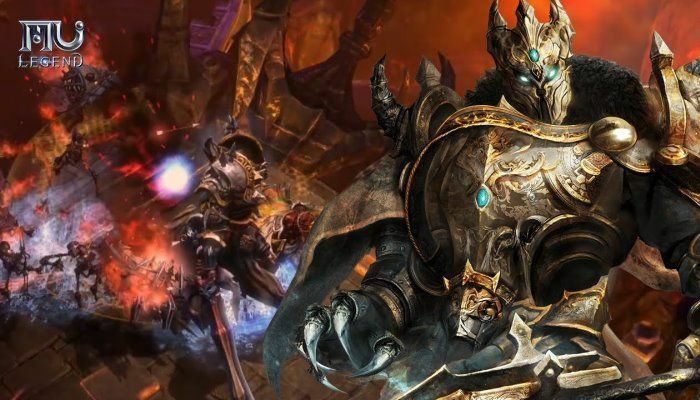 MU Legend includes four original classes – Dark Lord, Whisperer, Blader, and War Mage – and while it’s a very interesting and diverse game visually, the Unreal Engine makes sure that this game will run even on lower-end systems. Dark Lord is a class revamped original class of MU Online. Dark Load, the commander of the Dark, has a good stamina and defensive stat, carrying out both a tank and a damage dealer. War Mage is a wizard-type class, featuring its powerful long-range attacks against the surrounding enemies. Blader is a classic warrior class with devastating melee attacks, using a close range weapon like a sword. MU Legend's global OBT will be available in six languages: German, French, Polish, Spanish, Brazilian-Portuguese and English. It's the first time a MU game will be available in multiple languages at launch. Click here to view more MU Legend news.